Who said Fairy tales aren’t real? Just one look at the Schloss (Castle) Neuschwanstein and I felt like Cinderella preparing to meet my Prince. 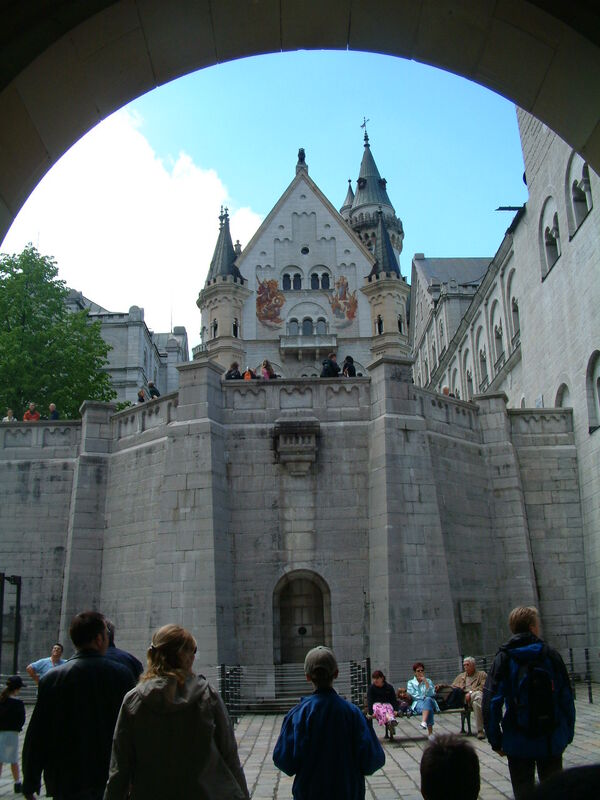 Germany is a castle lovers paradise, with rich history and beautiful castles across the country. There is a reason why Walt Disney was inspired by the King’s most majestic palace in Hohenschwangau,Bavaria. It stands at the top of the hill, isolated like King Ludwig II. King Ludwig II of Bavaria, AKA the Mad King or Fairytale King, remains today a mystery. He built his 3 castles to escape reality and they are now all that remain of his imaginary, ideal world. Forced to be King at 18, when his father died, Ludwig II was subject to many pressures. However, it was his own obsession with building his fairytale that was his true defeat. King Ludwig II was found dead along with his psychiatrist in Lake Starnberg, a few days after he was declared Mad by that same psychiatrist. 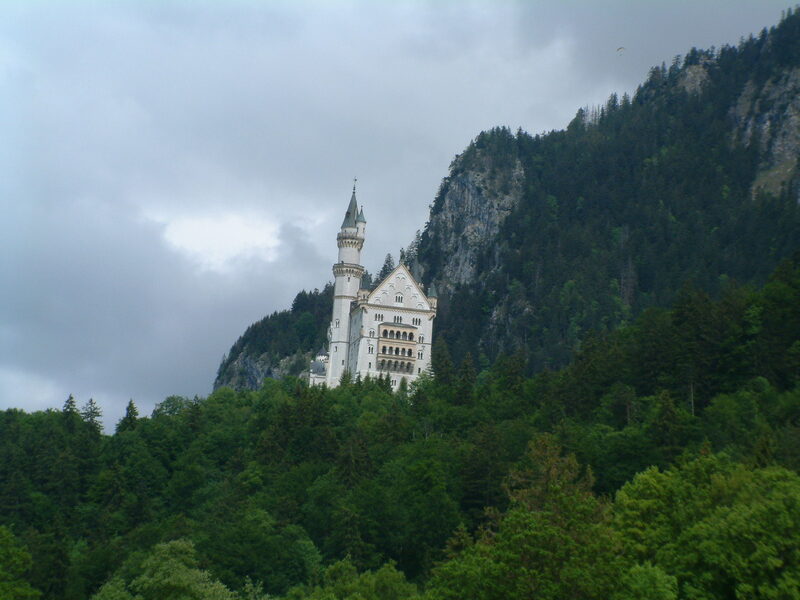 Until today, it is still unclear what happened that day…However, Neuschwanstein was not completed when he died and it is said that there was still a fourth castle planned that was never realized. There are various ways to get up the castle, by foot, by a shuttle bus or a romantic horse carriage. Either way, I recommend spending some time after you have visited the caste to walk around and inhale the breathtaking scenery. 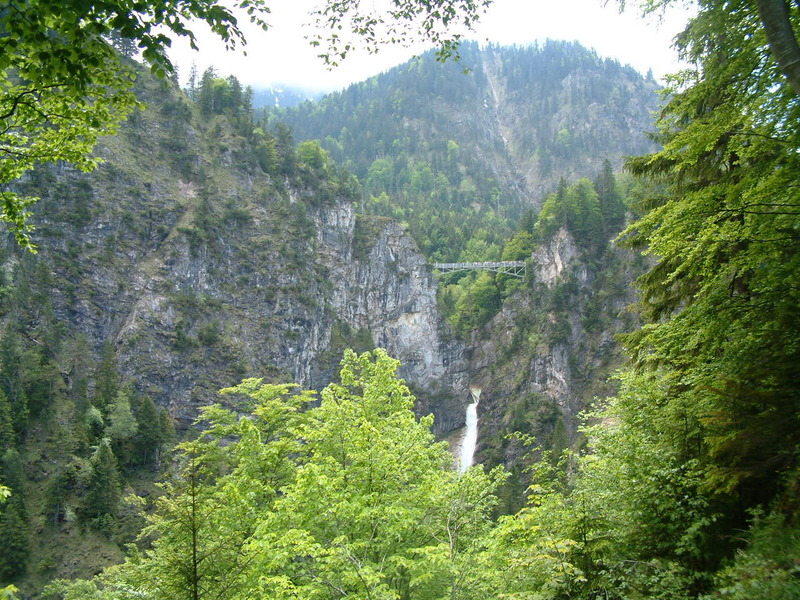 You can enjoy the Instagram-worthy views of the Marienbrücke ( Marien bridge) over the Pöllat Gorge. A day trip here will surely leave you curious about the unsolved fairytale of Kind Ludwig II. The best castle i have ever seen. And the story of King Ludwig is truly amazing, a real fairy tale.